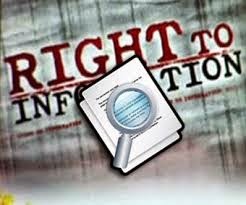 Right to information online: A "good step", but activists warn it would make whistleblowers "vulnerable"
Controversy has broken out among India's right to information (RTI) activists over the latest order of the Government of India's Department of Personnel and Training (DoPT), released on October 20, 2014, which allows all ministries and departments to "facilitate uploading of RTI applications and appeals" on their respective websites, even as providing links of replies through a URL. Suggesting that it was being implemented by the DoPT on a pilot basis, and has proved successful, the order says, however, that the "RTI applications and appeals received and their responses relating to the personal information of an individual may not be disclosed if they do not serve any public purpose." Already, whether to upload the applications, appeals and their response from the officials has been left to the respective public authorities looking into RTI applications, which has become a major source of concern. While some activists suggest that leaving things to the government officials to upload selective applications and their replies is discriminatory, others argue, disclosing names of individuals filing applications would “infringe upon” their privacy. More, it might lead to a situation whereby certain powerful sections may blackmail individuals seeking information.